Searching for the best family summer adventure holiday ever? Come to Morzine! | Morzine: For the best family summer adventure holidays ever! Searching for the best family summer adventure holiday ever? Come to Morzine! Action, adventure, relaxation, stunning scenery, great food. We could go on forever. Yep, Morzine makes a superb base for a fun-filled family summer holiday in the French Alps. If you’ve not already been, Morzine is a charming, typically Savoyard alpine town that nestles alongside the River Dranse, surrounded by the peaks and pastures of the Portes du Soleil region. It’s the perfect place to experience the very special atmosphere of the French Alps in summer. Come join us for family holidays with a difference. After nearly 25 years offering holidays in Morzine, we’ve developed excellent relationships with many local adventure activity providers, so you can be sure of maximum excitement and safety – whatever activities you do. 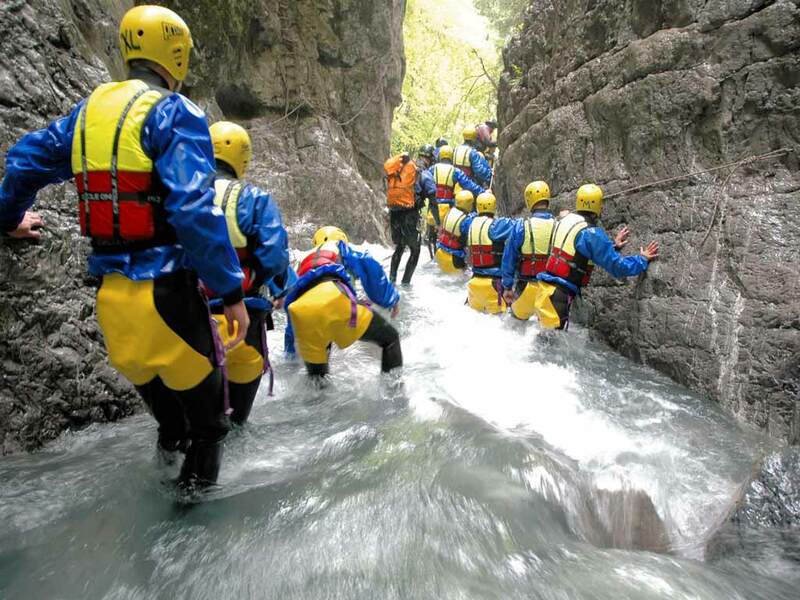 Canyoning and white water rafting are only two of the amazing adventure activities we offer. There’s plenty of two-wheeled fun available as well, with road and mountain bike routes for all levels, novice to experienced rider close to the Simply Morzine accommodation. Morzine in the summer is like the most amazing natural theme park, free from any constraints, where you’ll be sure to feel free and at one with the mountains in the alpine air. Simply Morzine summer activity holidays have plenty for all the family to enjoy. From newborn babies to great granny. 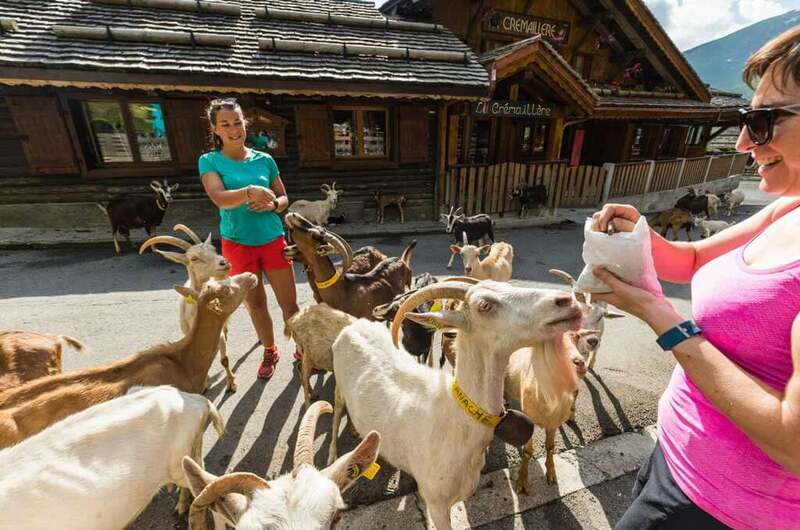 As examples (not definitive), younger children will love our excursion to the infamous Goat Village at Les Lindarets or splashing about in the Parc Dérèches swimming pool in Morzine, while older children and teenagers can explore the mountains on foot or by bike, all under the watchful eye of your Simply Morzine host and our qualified guides. 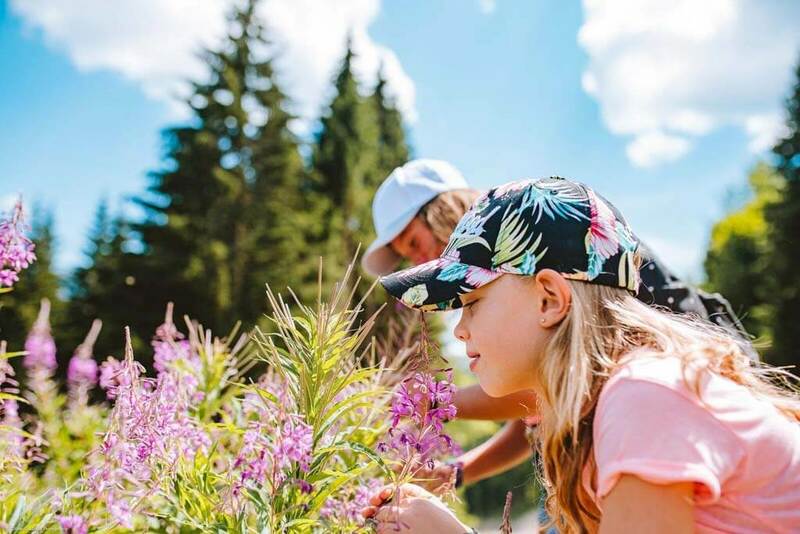 With bike trails and walking routes to suit all ages and stamina levels, the whole family will have an unforgettable alpine summer holiday in Morzine. We’re sure of it! Children and adults alike will enjoy Morzine’s weekly market, showcasing the best local produce, including cheeses and charcuterie, while for families and the young at heart, Morzine in summer provides fantastic entertainment – with wizards, witches, elves and fairies roaming an imaginary village, just to give another example of how the little ones can be kept happy and entertained during their summer holiday in Morzine. All you have to do is come along and have fun. Give our team a shout now to book your summer holiday in Morzine. Then, relax!